Did `Non-Profit' MacArthur Foundation Profit From NYC Gentrification-Co-op-Condominium Conversion In 1980s? "One of the biggest industries in the city had been throwing people out of their apartments--`condo conversion' it was called...The MacArthur Foundation...got involved. 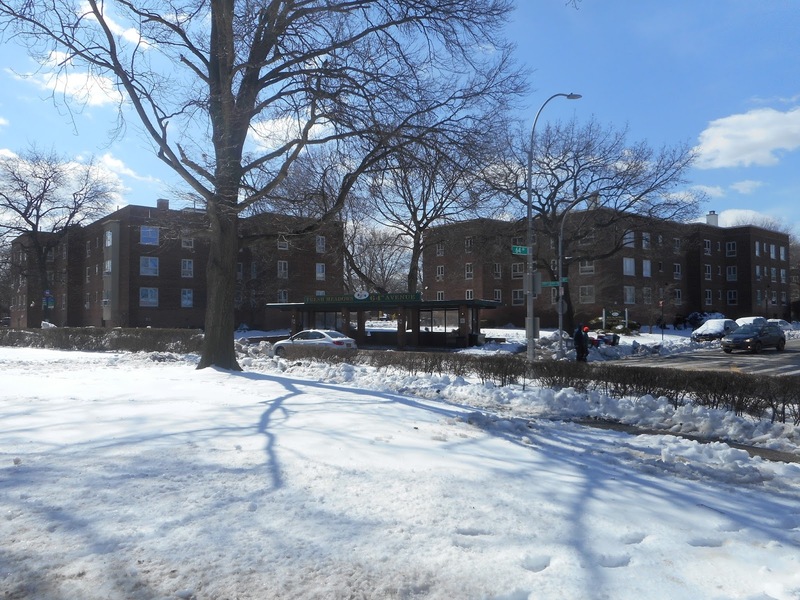 A team from the John D. and Catherine T. MacArthur Foundation converted thousands of apartments in the boom years. MacArthur managed to unload its total inventory in 1985 for about $500 MILLION..."
Among the apartment buildings converted into co-ops or condominiums by the "non-profit" and "philanthropic" MacArthur Foundation's real estate deal were "the eight buildings of Lincoln Towers, on the West Side between 66th and 70th streets; nine other buildings in Manhattan, mainly in the East 66s and 70s, and two properties outside Manhattan--Silver Towers apartments in Kew Gardens, Queens, and Great Neck Terrace in Great Neck, Long Island." (New York Times 6/13/93). "A consortium closed on the purchase of the development from the John D. and Catherine MacArthur Foundation, which had been the partner in the complex with the late Harry B. Helmsley. The price was $215 million..."
Every year the Chicago-based "non-profit" and tax-exempt MacArthur Foundation board of directors commits itself to transferring $625,000 over a 5-year period to each individual "MacArthur Fellow" who is undemocratically nominated by secret nominators and recommended by secret selection committee members to receive an individual "genius grant." Yet although the MacArthur Foundation--whose current assets exceed $6.4 billion--claims to be a "non-profit" organization, much of its "genius grant" money apparently was derived from the real estate industry profits it obtained as a result of owning the Fresh Meadows Development's rental apartment complex in Queens, in partnership with the now-deceased billionaire Harry Helmsley, until 1995. Over 10,000 New York City tenants lived in the 3,287 rental units of the 140-building Fresh Meadows apartment complex that Billionaire John D. MacArthur and Helmsley bought in October 1972; and between 1972 and 1995 MacArthur or the MacArthur Foundation--that assumed control of an estimated $1 billion of John D. MacArthur's assets following his death in January 1978-- owned 40 percent of the Fresh Meadows Development, before the MacArthur Foundation increased its ownership to 100 percent between 1995 and 1997, by purchasing Helmsley's 60 percent stake. Then, by selling its 100 percent ownership stake to the Witkoff Group, the Insignia Financial Group and the Federal Realty Investment Trust in December 1997, the "non-profit" MacArthur Foundation was apparently able to obtain an additional $215 million to add to its total assets in the late 1990's. 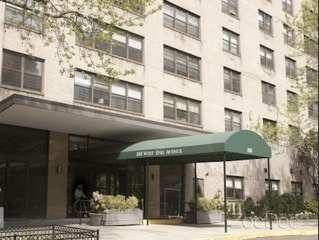 After John D. MacArthur and Helmsley bought the real estate in October 1972, maintenance services declined, elevators became defective, air-conditioning fees and snow removal complaints increased and a tenants association was formed which organized rent strikes and filed lawsuits against the MacArthur-Helmsley partnership. In his 1989 book, The Ultra Rich: How Much Is Too Much?, Vance Packard noted that "New York realtor and billionaire Harry Helmsley called real estate attractive because `You don't have to do anything. You just have to sit. The values go up.'" "Helmsley and the NAACP avoided a costly trial by agreeing to a settlement that both prohibited Helmsley from refusing to rent on the basis of race and required him to take a number of steps to encourage minorities to apply. A year later the NAACP was back in court, accusing Helmsley of violating the agreement by trying to convert the apartments into co-ops. Helmsley again settled the matter...The Open Housing Center, a non-profit citizens group monitoring Fresh Meadows, estimated that the number of Black families rose from less than one percent..."
“I want to thank everyone who supported me during this difficult time. Cedric died on Sunday September 10. After a difficult year health-wise, he’d been in hospital for almost three weeks fighting yet another infection, perhaps multiple infections, and been given hefty doses of antibiotics and subjected to numerous tests, but it became clear he wasn’t responding, so we faced the heartbreaking decision of removing all life support and letting him die in peace. “We sent him off in great style, celebrating his life at the Unitarian Church. It was warm and personal and a fitting tribute to this man who was my soul mate. We had been married for 64 years. I’m so thankful he didn’t end up in a nursing home. “But life goes on. And while the world stands on the brink, with devastation and loss of life across the Caribbean and Mexico, Trump made his debut speech before the United Nations General Assembly, a 40-minute rant attacking socialism and communism and ‘rogue states’ Iran, Venezuela and Cuba. He openly threatened to wipe North Korea off the face of the earth, a nation that can barely feed its people and yet has to defend itself against an onslaught of Western hostility, ferocious UN sanctions and ongoing US/South Korean war games. “America’s historical destruction of North Korea and today’s ongoing threats should be considered in the context of the living memory of its older generation. Pyongyang, a city of half-a-million people before 1950, at the end of hostilities had only two buildings left intact. “Trump’s UN tirade was tailored for Americans who were born yesterday. It will go down in history as a marker of the final collapse of a terminally corrupt and rotten regime where any pretense of global co-operation has gone. And yet our local media hacks felt it was more important to treat his words with amusement and then headline a stupid story about a Tasmanian who shoved Abbott in the guts. “But Trump is merely a ventriloquists’ dummy who read from a teleprompter transmitting to Americans words written by the Generals, all of them a distortion of historical fact. In a sane world, UN delegates should have handcuffed Trump and hauled him before a criminal court and shouted him down or walked out instead of listening to his litany of lies. “The US has become the 4th Reich and we question whether the world can survive its brutal foreign policy. To our great shame, Australia supported his psychopathic threats, already up to our neck in America’s war crimes around the world. No wonder we’re on the skids. Amongst the world leaders, there was one who almost exceeded Trump in its mendacity and malignancy. Benjamin Netanyahu. For Israel’s leader, lying has become a creed. “Robert Fisk honed in on Trump’s warped view of WW2 pointing out that it was Russia that bore the brunt of Hitler’s Wehrmacht and it was Russia’s destruction of Hitler’s military power that broke the Nazis. And it was Stalin who’d been pleading for a Second Front for two years. 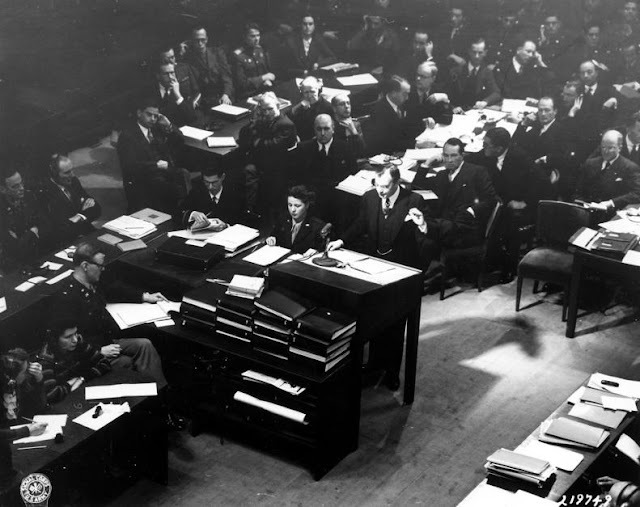 When Hitler marched into Poland and Norway and Holland and Belgium and Luxembourg and then France and threatened to invade Britain, the United States enjoyed a profitable period of neutrality - as it did for most of WW1 - until the Japanese attacked Pearl Harbor in December 1941, more than two years after WW2 began. We should also remember that it was Hitler who then declared war on the US, not the other way round. “John Pilger writes about a heavily publicized recent TV series on ‘The Vietnam War’ shown on America’s highly corporatized PBS network (the ’P’ stands for Pentagon and Petroleum) directed by Lynn Novick and Ken Burns, experts at whitewashing the crimes of US imperialism. Their biggest backer, the Bank of America. “The title itself is absurd. The Vietnamese called it ‘The American War’ which broadens the geographic lens to include Laos and Cambodia, when the world’s most powerful military empire invaded and assaulted a small peasant nation and its neighbors for more than a decade, spraying millions of tons of Agent Orange on to forests and crops ravaging and poisoning a once bountiful land, and frying human beings with napalm. No mention of Vietnamese dead, only Americans, justifying one of the great crimes of the 20th century, all too familiar to those who observe the close relationship between Hollywood and the Pentagon and the CIA (with 70 years of high crimes under its belt). “The rewriting of history never stops and the blood never dries, it seems, with the bloodthirsty invader purged of guilt, legitimizing subsequent wars of aggression. As Pilger writes: ‘The true scandal is the insidious assumption of power by sinister warmaking vested interests for which no American voted’…an historic shift of power in Washington. Does Cambridge's Draper Laboratory's Work For Trump's Pentagon Violate Nuremberg Accords and International Law? Yet at 555 Technology Square in the “Warmakers’ Republic of Cambridge” some of the folks at the “non-profit” Draper Laboratory who have apparently been personally enriching themselves by working for the U.S. military-industrial-university complex’s “permanent war machine” in the 21st-century are still being allowed by the “People’s Republic of Cambridge” to now do weapons technology development work for the Trump administration’s Pentagon in 2017—even if such war preparation research violates international law and helps prepare the Pentagon for a possible Trump administration military attack on North Korea. Who Rules "Warmarkers' Republic of Cambridge"'s Draper Laboratory? MIT Professor and Singapore MIT Alliance for Research and Technology CEO/Director Daniel Hastings, who’s also a trustee of the Aerospace Corporation that “operates a federally funded research and development center (FFRDC) for the United States Air Force” which provides “engineering and acquisition management support as well as objective technical analyses and assessments to the Air Force,” according to the Aerospace Corporation’s website. And between June 2015 and July 2016, Aerospace Corporation Trustee and MIT Professor Hastings was paid $31,500 for sitting on Draper Laboratory’s board of directors. Lt. General Frank Kearney, a former Deputy Combatant Commander for United States Special Operations Command (SOCOM) who “served in operational and command assignments at every level with combat tours in Grenada, Panama, Bosnia, Iraq and Afghanistan” and “commanded all Theater Special Operations forces in the middle-east including OIF and OEF from March 2005 to June 2007”, according to the Thayer Leader Development Group at West Point’s website, before setting up his own “consulting” company, Inside-Solutions-LLC, of which he is president. And between June 2015 and July 2016, Lt. General (Ret.) and Inside-Solutions President Kearney was paid $6,125 for sitting on Draper Laboratory’s board of directors. 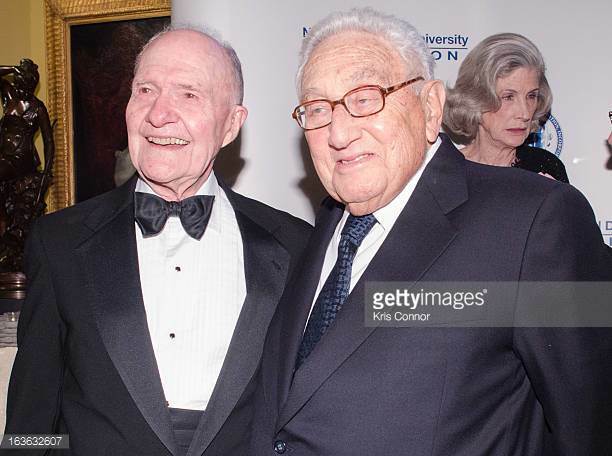 Coincidentally, the Draper Laboratory Chairman of the Board since October 2013--a “Principal” of former Kissinger Associates Vice-Chairman Brent Scowcroft’s Scowcroft Group named Franklin Miller---previously worked “twenty-two years in the Department of Defense…and four years as a Special Assistant to President George W. Bush” before joining The Cohen Group of former U.S. Secretary of Defense William Cohen for five years, according to The Scowcroft Group’s website. And between June 2015 and July 2016, Scowcroft Group Principal Miller was paid $71,625 for being Draper Laboratory’s board chairman, according to Draper Laboratory’s 2015 Form 990 financial filing. Besides being Draper Laboratory’s chairman of the board, Scowcroft Group Principal Miller—who “provides clients both strategic and tactical advice on defense”—has also, coincidentally, been a member of the Defense Policy Board, the U.S. Strategic Command Advisory Group and the Council on Foreign Relations. And in addition, he has, coincidentally, sat on the board of directors of EADS North America (a subsidiary of Airbus Group that profits from its Pentagon war and homeland security government contracts), the Sandia Corporation (which develops more modern nuclear weapons for the Pentagon) and the Atlantic Council of the United States (whose board of directors and international advisory chairman emeritus is, coincidentally, Scowcroft Group President and Principal Brent Scowcroft). And not surprisingly, when the Iraqi troops of the now-executed Saddam Hussein marched into Kuwait on Aug. 2, 1990, it was the presentation of Scowcroft-- the former member of the corporate board of the Kuwait Petroleum Corporation’s Santa Fe International U.S. subsidiary-- -- at a National Security Council meeting on Aug. 3, 1990, “that made clear what the stakes were, crystallized people’s thinking and galvanized support for a strong response” to the Iraqi military occupation of Kuwait, according to a Feb. 2, 1991 New York Times article; and, at this meeting, “Scowcroft stated that..he believed the United States had to be willing to use force” and “that Saddam had to be toppled…covertly through the CIA, and be unclear to the world,” according to Bob Woodard’s 1991 book The Commanders. But after the United States began “to use force” in Iraq in January 1991, U.S. military forces apparently killed around 100,000 Iraqis people in the 1991 Gulf War to restore Al-Sabah family monarchical rule in Kuwait, while at least 849 U.S. troops were either killed or wounded in the same war; and during the next 10 years more than 9,600 of the U.S. soldiers involved in the first Gulf War, who “were often required to enter radioactive battlefields unprotected and were never warned of the dangers of Depleted Uranium” weapons, reportedly also died, according to Project Censored’s Censored 2004 book. Coincidentally, Draper Laboratory Chairman Miller’s 91-year-old Scowcroft Group business partner also currently is a “Strategy Partner” at Torch Hill Investment Partners, whose for-profit investment portfolio includes stock in Zephyr Photonics, which “is a US-based…photonics company that is focused on providing solutions to the Department of Defense, aerospace, and intelligence markets” that “has developed its unique technology over 60 contracts from US Government agencies…and defense prime contractors,” according to the Torch Hill Investment Partners website. A folk song about how real estate developers, landlords, and their political allies gentrified New York City after 1971; and created a native New Yorker refugee population. A New York City refugee. Became a New York City refugee. But now I'm a New York City refugee. Are now New York City refugees. Have the right to return!" Is Cambridge's Draper Laboratory Profiteering From War Research? From all of its sources of revenues between June 2015 and July 2016 (including income from dividends on the corporate stock it owns, for example), Draper Laboratory’s total revenues were over $676 million; which exceeded its total expenses (that included $1 million spent on lobbying) of over $639 million by nearly $37 million, although Draper Laboratory claims to be a “non-profit” organization. And during the same period, the value of Draper Laboratory’s net assets increased from over $364 million to over $379 million. In addition, between October 2014 and September 2016 the annual dollar amount of Pentagon weapons technology development contracts awarded Draper Laboratory increased from $273 million to $360 million, making it the 73rd-largest recipient of U.S. war research contracts in 2017. Is Cambridge's Draper Laboratory Developing Weapons For Trump's War Machine? “The U.S. Missile Defense Agency has awarded Draper a $36.9 million contract to perform technical and analytical services in support of the Agency’s efforts to evaluate, maturate, integrate and test guidance, navigation and control technologies. “The Trident D-5 is a three-stage, solid-fueled submarine-launched intercontinental-range ballistic missile…It is…deployed on the US Navy's Ohio and newer Columbia class nuclear missile submarines. “…Draper plans to help…provide rapid response to immediate warfighter requirements to the U.S. Army. Draper has been selected to join several teams of defense contractors that will design, develop, demonstrate and integrate products and systems focused on the development of space, high altitude and missile defense and ground system capabilities, enabling warfighters to effectively support their mission….Draper’s contribution will be in support of the U.S. Army Space and Missile Defense Command/ Army Forces Strategic Command’s (USASMDC/ARSTRAT) Design, Development, Demonstration and Integration, or D3I, Domain 1 program….Under the D3I Domain 1 contract, Draper brings capabilities to the contract teams in mission-critical areas including space systems, integrated air and missile defense, avionics, surveillance, reconnaissance and guidance, navigation and control (GN&C). Draper’s contract work will primarily be performed in Huntsville, Alabama and Cambridge, Massachusetts. “Picatinny Arsenal engineers are among a group of researchers developing image navigation that would be used for precision guidance of munitions even when GPS is not available. The Armament Research, Development and Engineering Center, or ARDEC, is leading the development of image-navigation techniques for precision-guided munitions. “With image navigation, a target can be identified on any type of digital map, which along with its metadata, can be loaded into the munition-guidance processor….Other partners involved in the research are from Draper Labs, Army Research Laboratory, Air Force Research Laboratory and the Aviation and Missile Research, Development, and Engineering Center. Using the reference image, along with the image the munition sees, the munition can determine where it is and what course corrections are needed to precisely guide it to the desired aim point. “The developing technology is designed to mitigate the current reliance on GPS for precision munitions and achieve the potential to transition to future increments of Excalibur, High Explosive Guided Mortar, or HEGM, and other future precision munitions.